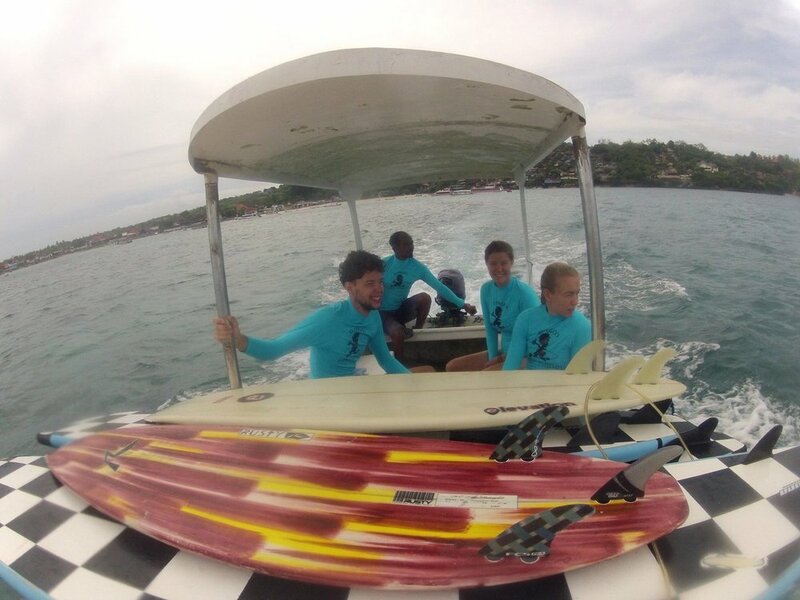 Nusa Lembongan surf lessons, at your pace. 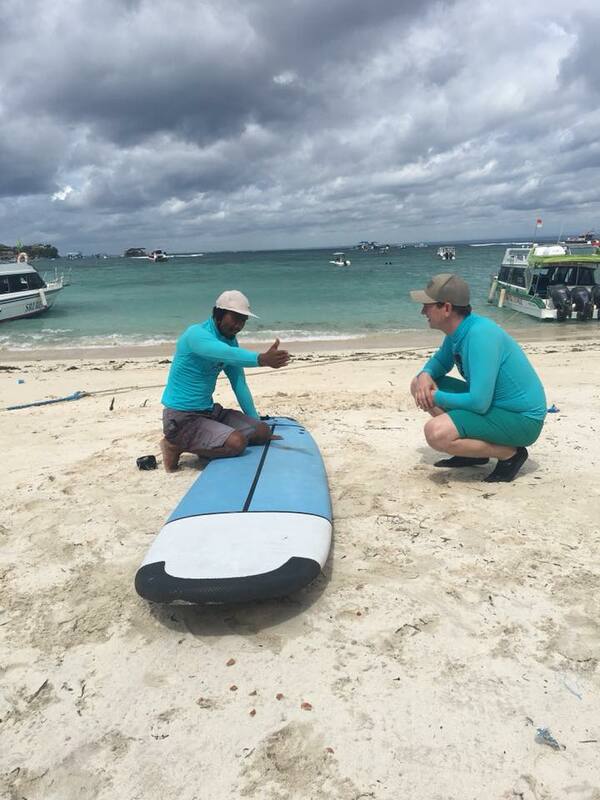 Taking a surf lesson while on Nusa Lembongan is a unique and fun experience. 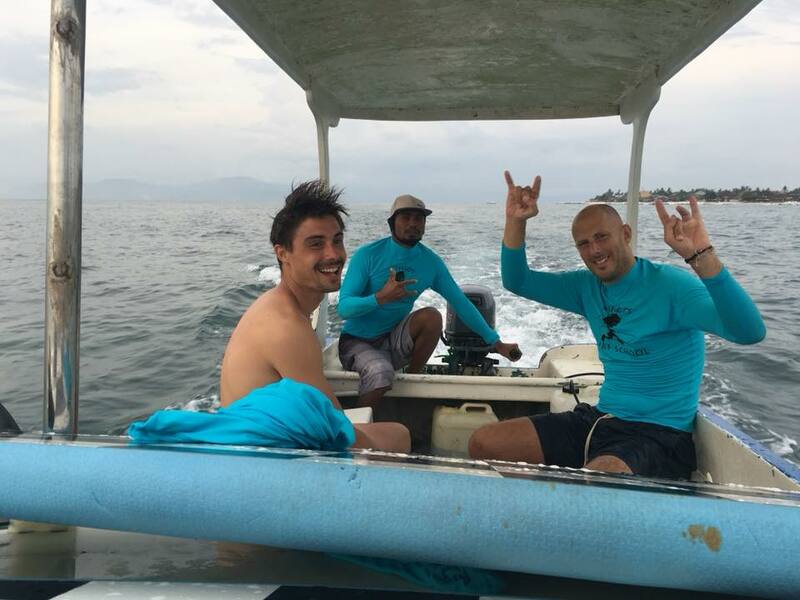 Our goal is to improve our students surfing skills, technique, and water confidence within a comfortable setting. The various surf breaks Dingo's Surf School use for surf lessons offer both left's and rights with gentle take off zones and a channel to paddle back out. 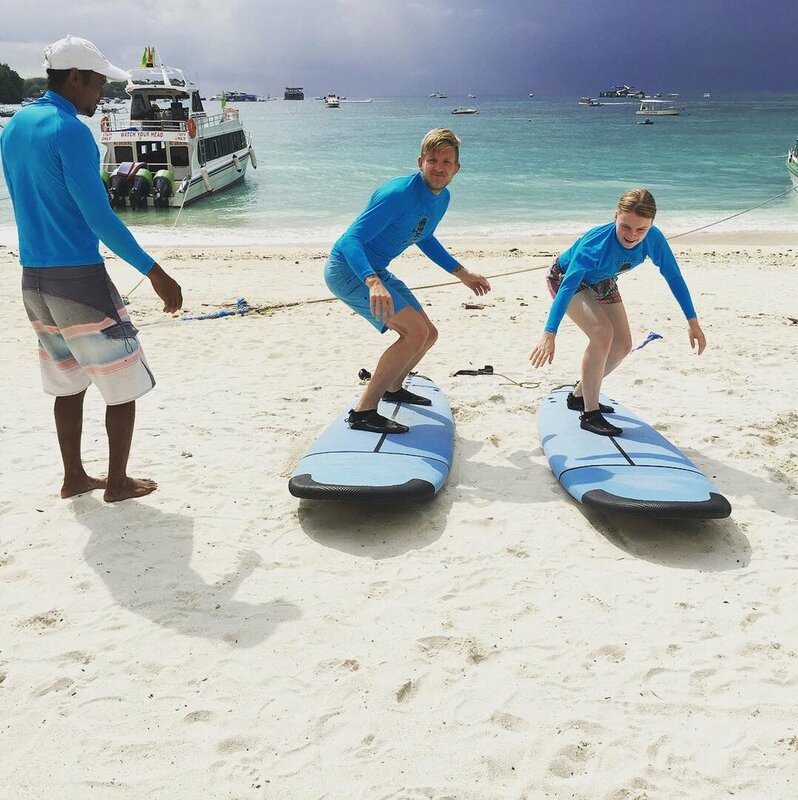 Our instructors will help students position themselves to catch waves that offer a smooth, long wave ride. 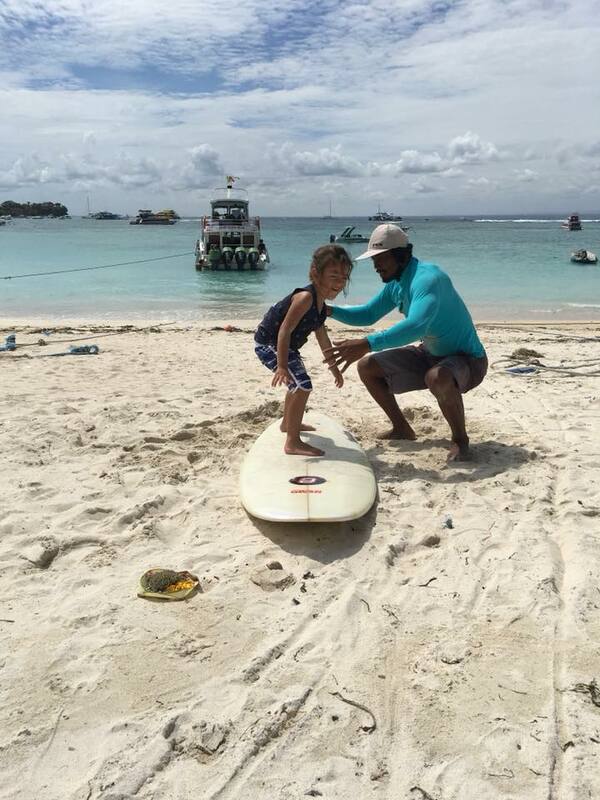 Dingo's surf school offers a variety of surf lessons for all skill levels. For beginners, choose a one-on-one lesson or group lesson depending on the size of your party. Lessons are approximately 2 hours in length and include 20 minutes of on-land instruction, technique and theory. All surfing equipment is provided, including use of a rash guard and reef booties. All surfing equipment is provided. including use of a rash guard. Photos taken during each activity are available for purchase. Pregnant women or guests with prior neck or back injuries should not take SURF / SUP lessons.